Daniel Augustus Tompkins, 1851-1914. Cotton Mill, Commercial Features. A Text-Book for the Use of Textile Schools and Investors. With Tables Showing Cost of Machinery and Equipments for Mills Making Cotton Yarns and Plain Cotton Cloths. A Text-Book for the Use of Textile Schools and Investors. 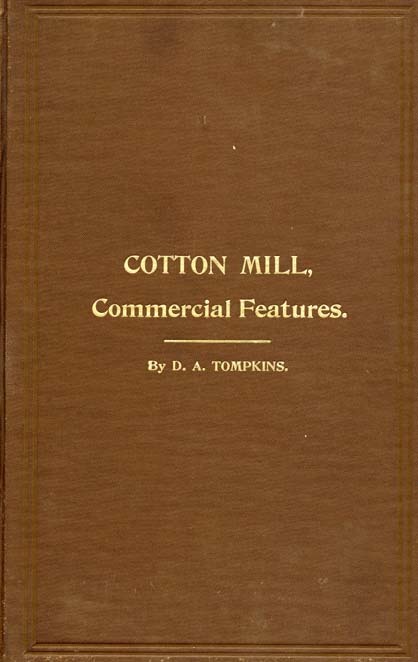 Mills Making Cotton Yarns and Plain Cotton Cloths.